The war on drugs! What war. 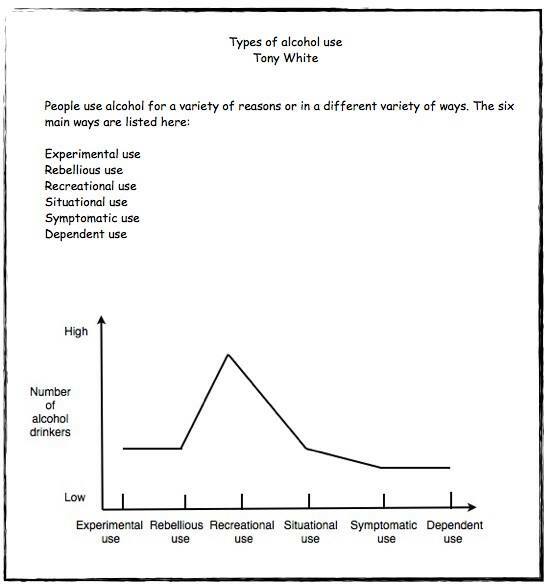 I have proposed before the vast majority of people who use drugs and alcohol will suffer few, if any significant problems. This who do suffer problems are the symptomatic and dependent users which are but a small subset of the overall number of users. The chart below supports that contention of mine, The DSM 5 is a reputable document so one can assume these figures have at least some scientific validity. 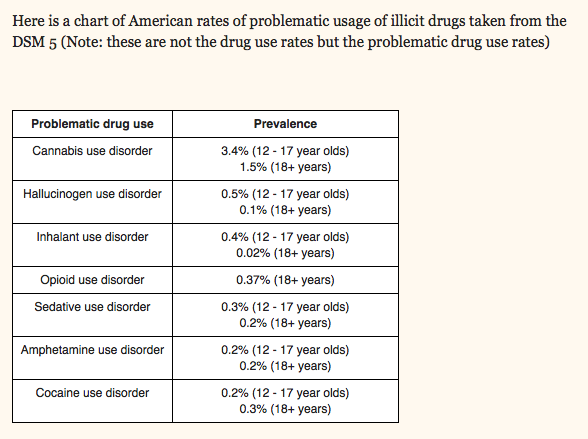 As you can see the rates of problem use are tiny. So if there is a war, as we are told, then the enemy is not doing very well. Of course it is to politicians advantage to have the community believing the problem use rates are much higher than they actually are.